Day Twenty-Nine: What Would you Bring on a Vegan Road Trip? I love travelling, in the sense of exploring new places. I hate travelling in the sense of actually getting from A to B. I wish I could just click my fingers and be in an exciting new destination without the stressful and sometimes nauseating business of using transport. I’m terrified of flying. I get seasick and coachsick, and I’m an extremely anxious car passenger. (My dad was a very cautious driver and used to think the speed limit was for people who were in some kind of emergency; Dr HH thinks it’s a guideline. Also, due to living in Asia for years, I went a long time without travelling on a motorway. I spend most of our time in the car saying: “Should we slow down a bit?” He loves it, obviously.) Trains are probably the only mode of transport that I’m actually comfortable with, and even then there’s the delays to worry about. The only way to make the ‘A to B’ part of travelling bearable, then, is to take food. And if you’re travelling in the early hours, what better to take than a nice bit of breakfast cake? 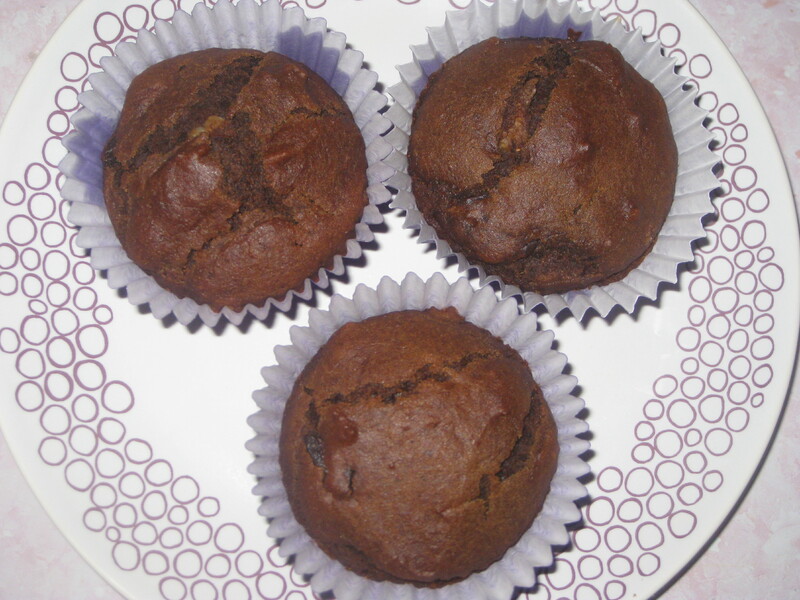 Here are some of the tasty vegan breakfast muffins I’ve made. 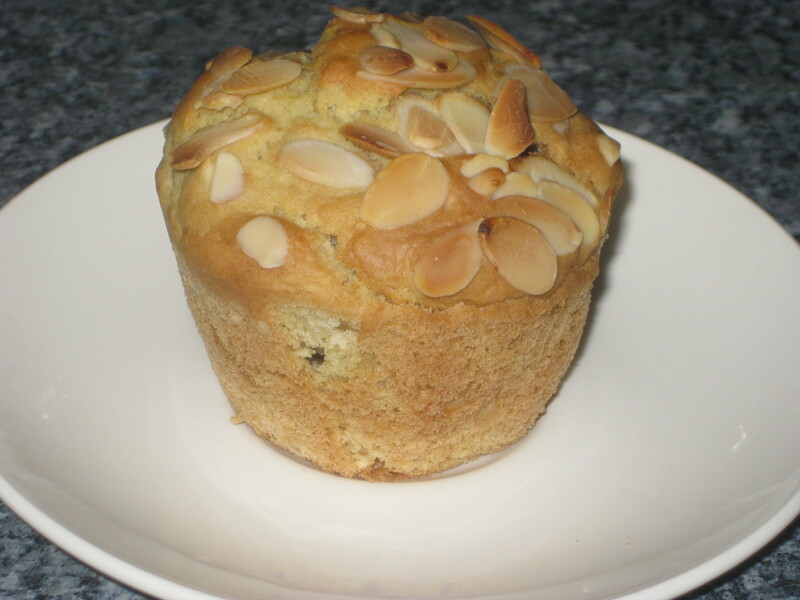 Bakewell muffins are always a winner, with the right balance of cherries and almonds. I do find that a bit tricky to get right though. 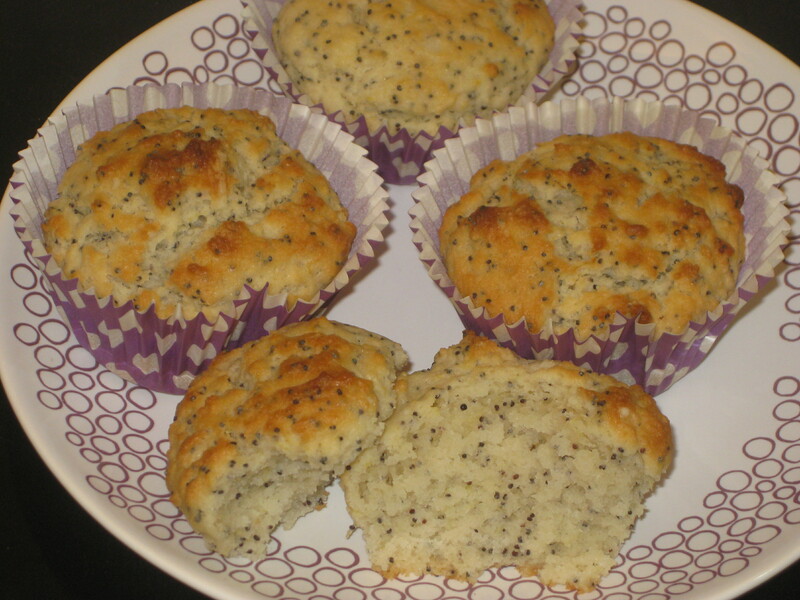 Probably still my favourte are the first vegan muffins I ever made – lemon poppyseed. Light, zingy, delicious, everyone would enjoy these on a road trip. Banana muffins are a breakfast classic, though I probably prefer to eat this batter in loaf cake form. 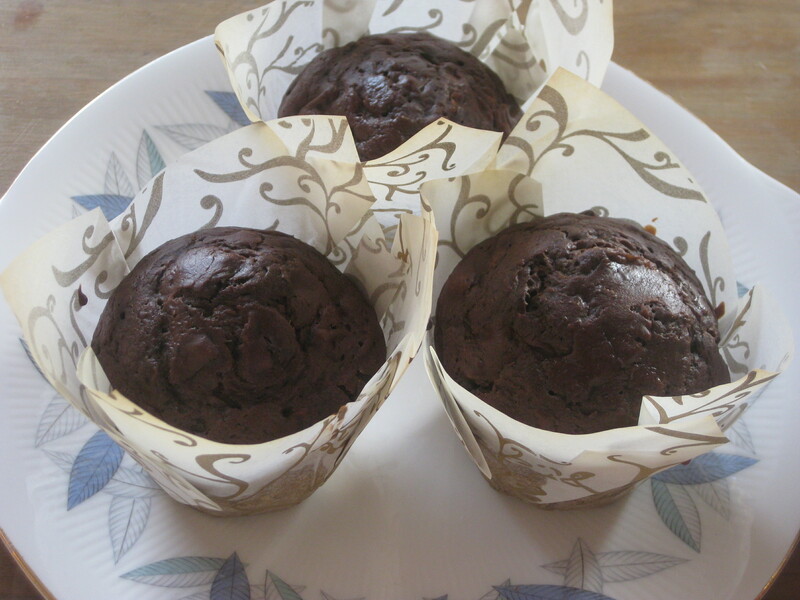 My first attempt at vegan chocolate muffins. I remember how delighted I was that they worked! 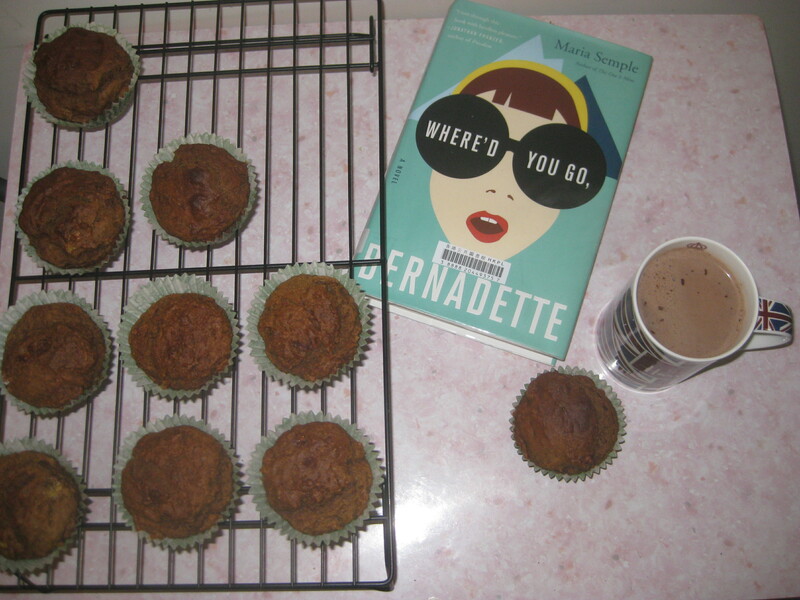 And my current preferred chocolate muffin recipe: the Oh She Glows chocolate courgette muffins. 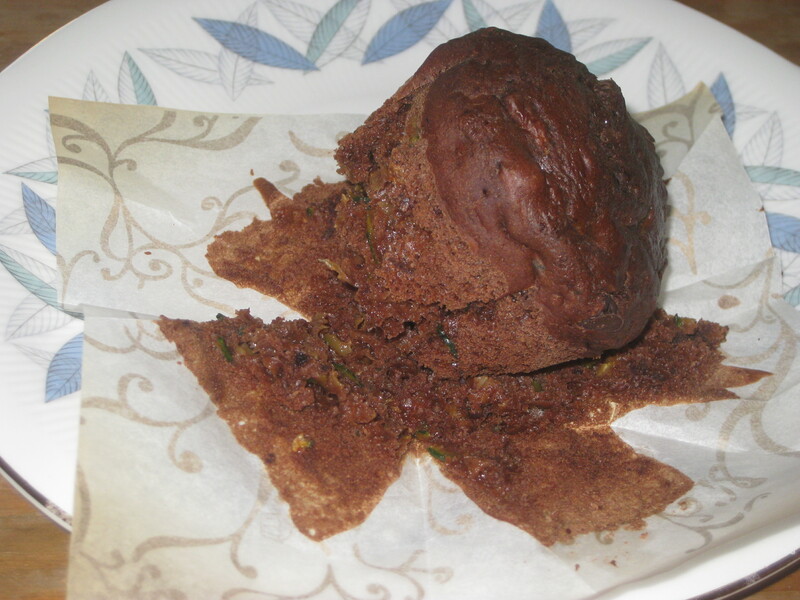 The courgette keeps the sponge nice and moist, and the flavour was great. So for a vegan road trip, I think I’d take the lemon and poppyseed muffins, perhaps with a few chocolate courgette ones as well (for breakfast dessert, of course). And commuting to work counts as a road trip, doesn’t it?! 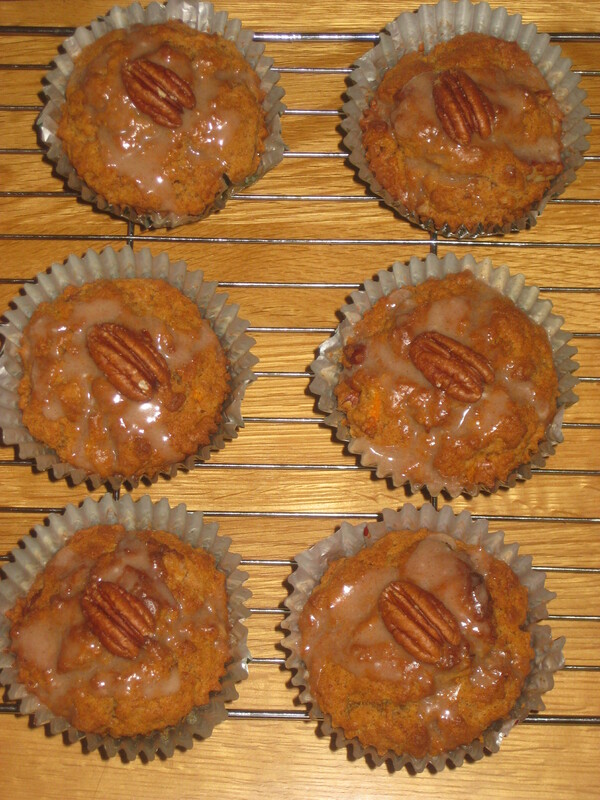 This entry was posted in Vegan Mofo, Vegan Recipes and tagged vegan breakfast, vegan mofo, vegan muffins. Bookmark the permalink. Ha ha, I relate to this post so much! I also am a very anxious traveller re the transport part, but love it when I get there 🙂 Have you seen the beautiful film Look Both Ways? The main character has many fears and anxieties and her thoughts of disaster (e.g. the train she is in running off the bridge and into the river) are inserted in cartoon form throughout the movie – she is me! BTW did you like Where’d you go Bernadette? She sounds just like me too, I’ll have to check it out! I loved Where’d you go Bernardette, I thought it was really funny and original. Have you read it? No not yet but I have seen it in the library. My list of books to read is so long, but I was wondering if I should add it. Based on your positive feedback, looks like I should! I’m a fan of road trip muffins too. There’s a great selection here. I’ve not tried the Ms Cupcake ones yet. I keep hearing people raving about the Oh She Glows ones so I must get her book. The Oh She Glows cookbook is wonderful in its entirety, I really recommend it.